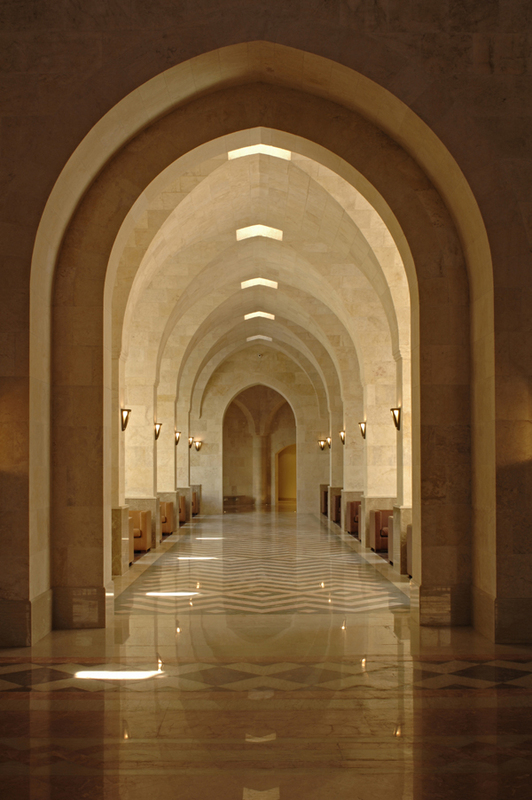 Entrance into the Ismaili Centre, Dubai — a plurality of perspectives. 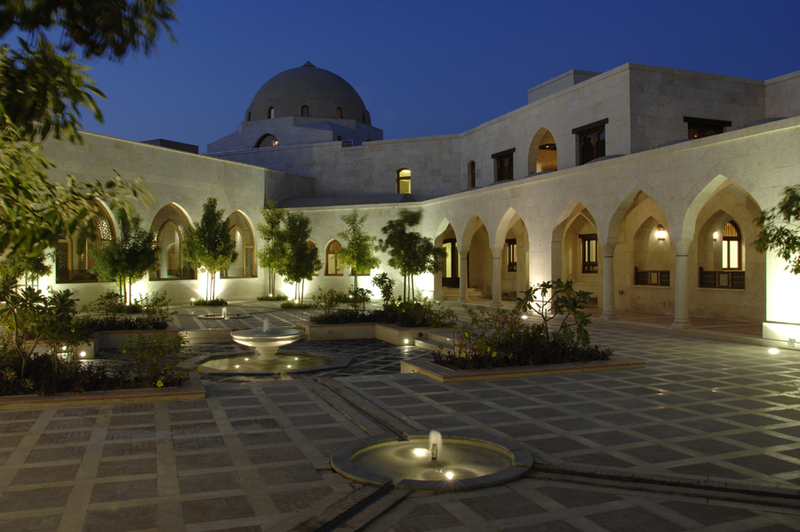 Fountains of arboreal calm: the Takhtabosh Courtyard at dusk. 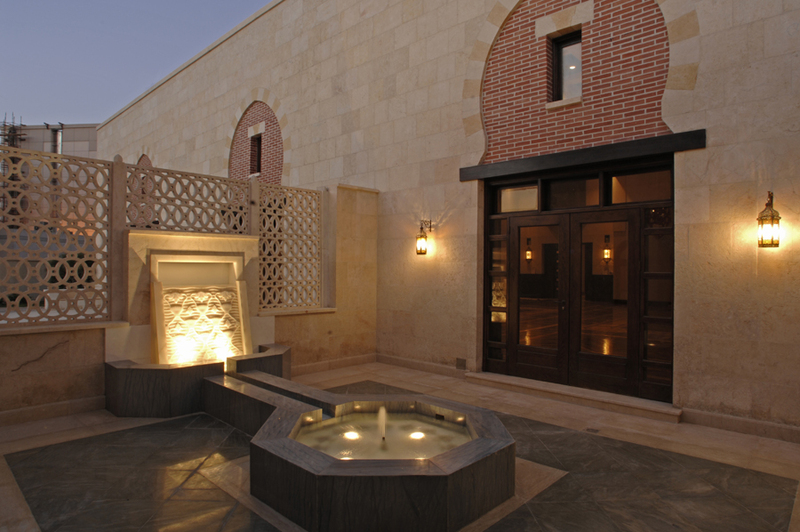 A façade of interspersed openings facing the courtyard. 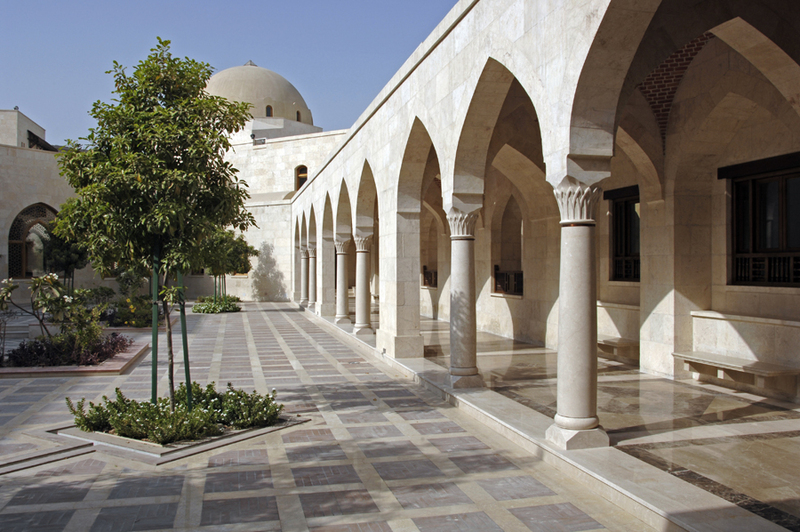 Water courses through channels, inlaid in the Takhtabosh Courtyard. 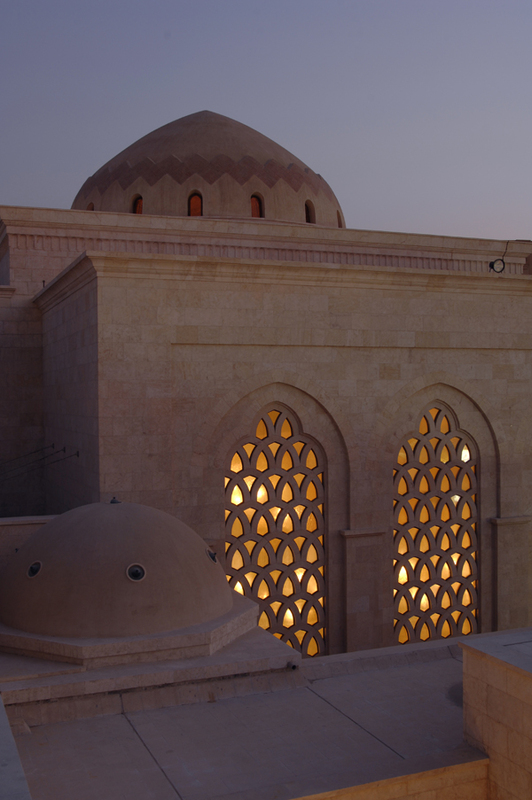 Honeycombs of amber emanate at dusk. 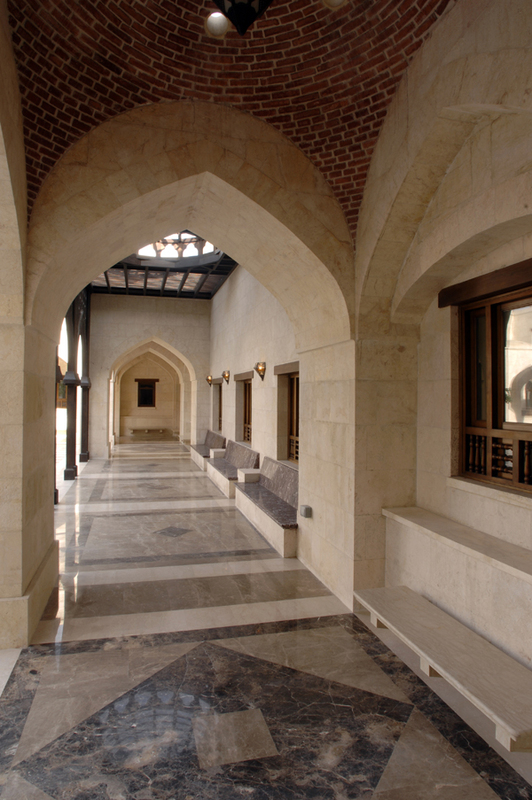 Shaded benches look out onto the courtyard. 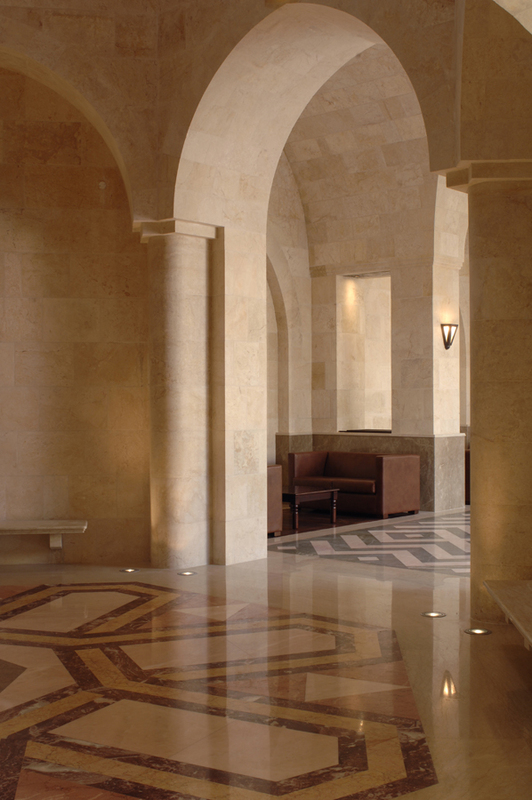 Waves in similitude: alcoves along the axial symmetrical entrance. 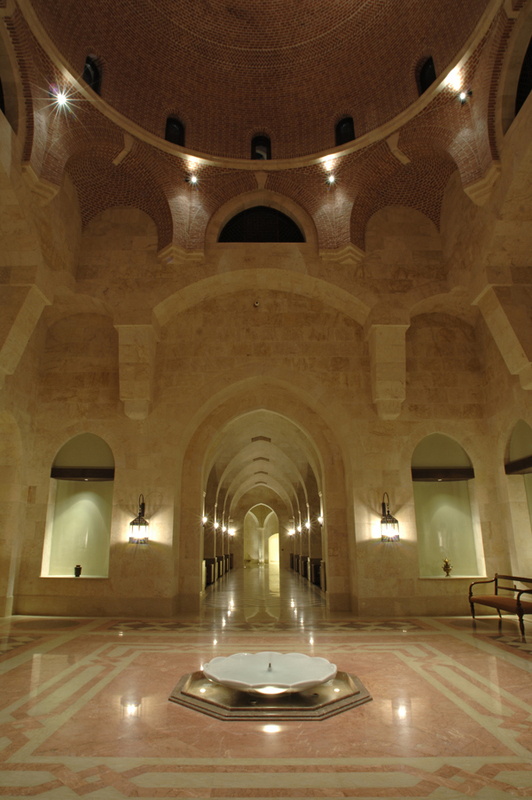 Reflections at the entrance to the heptagon. 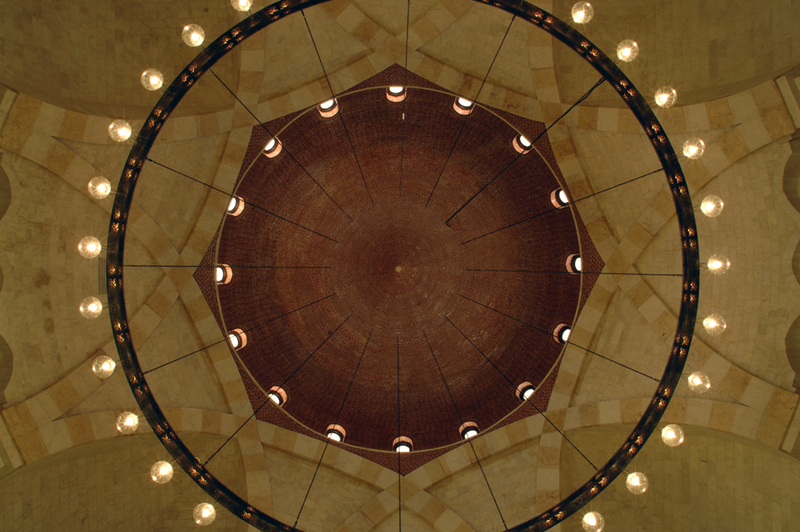 Illumination in concentricity: the chandelier of the main dome. 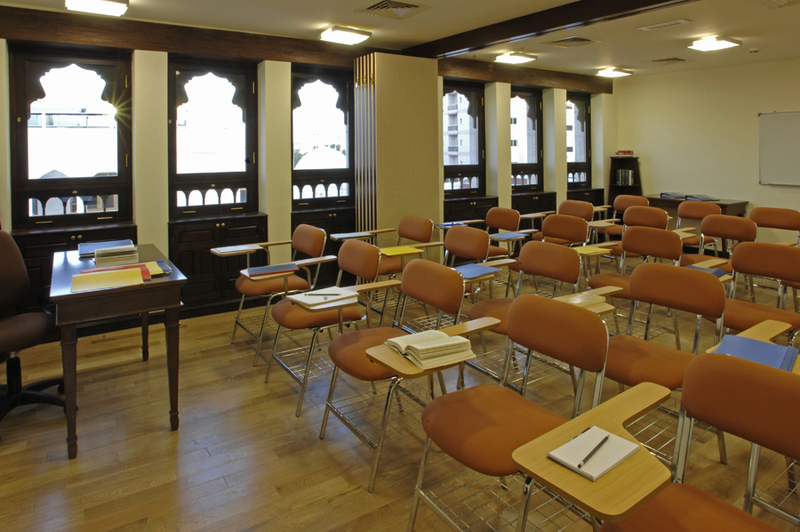 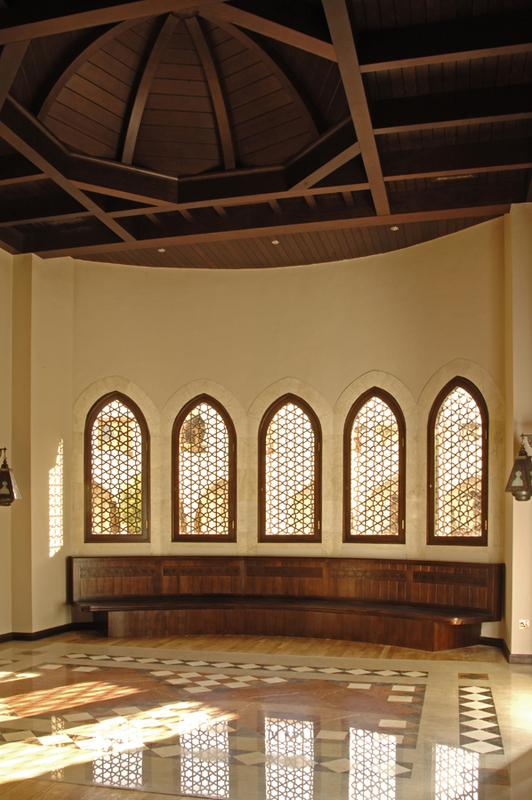 A space for learning in the Ismaili Centre, Dubai. 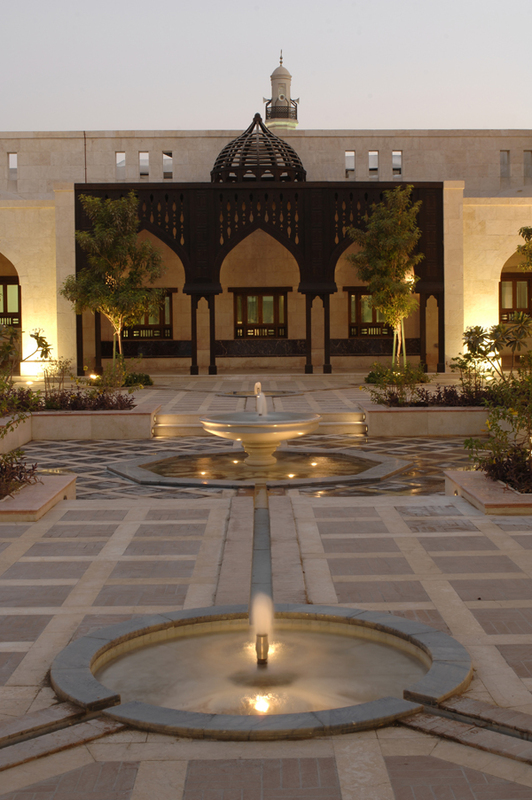 The salsabil water feature is the centrepiece of the intimate Morning Prayer Hall Courtyard. 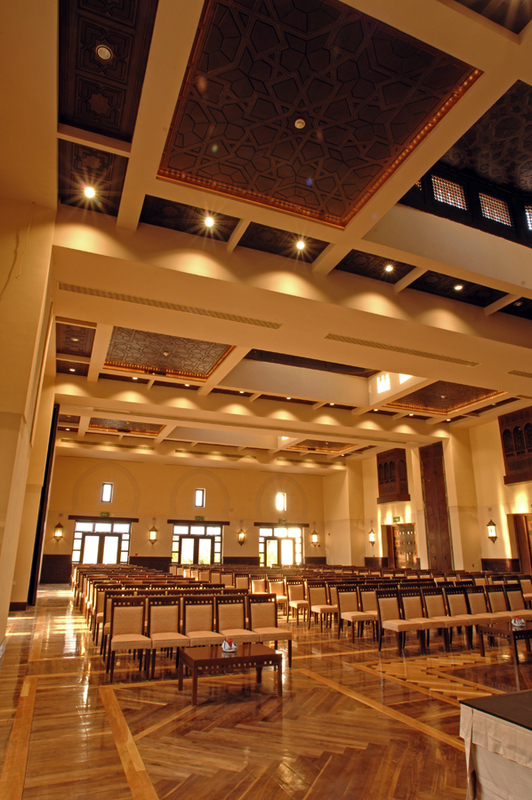 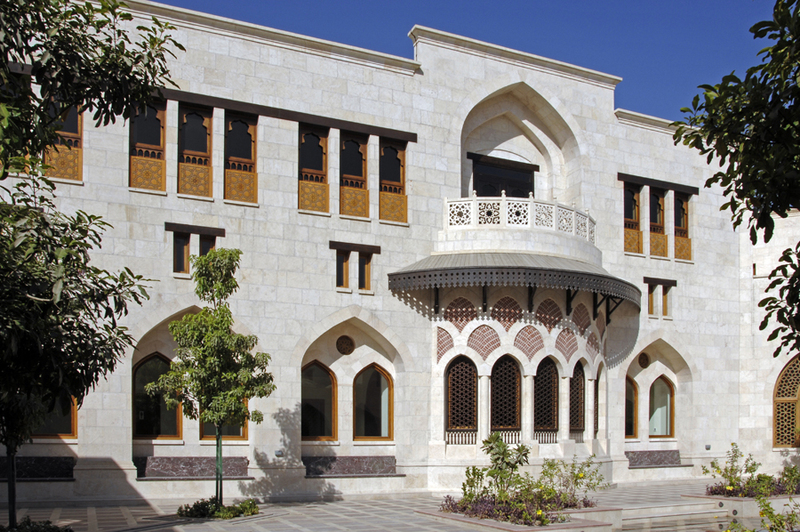 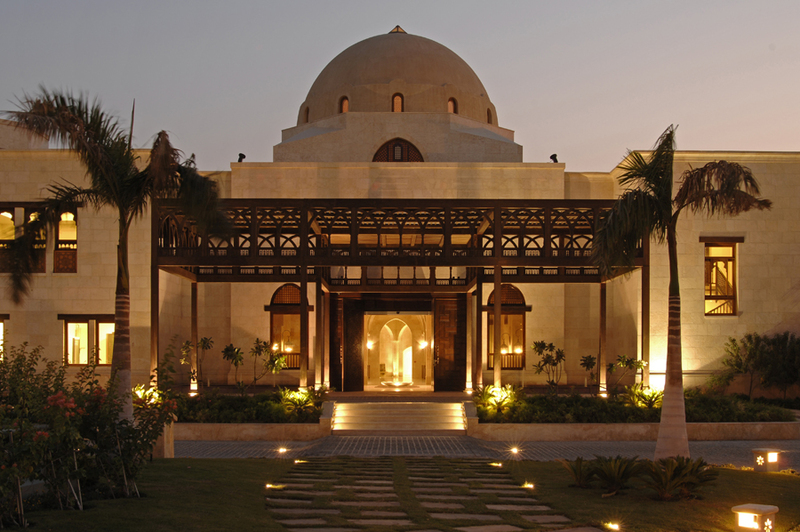 The Social Hall of the Ismaili Centre, Dubai can facilitate many types of gatherings. 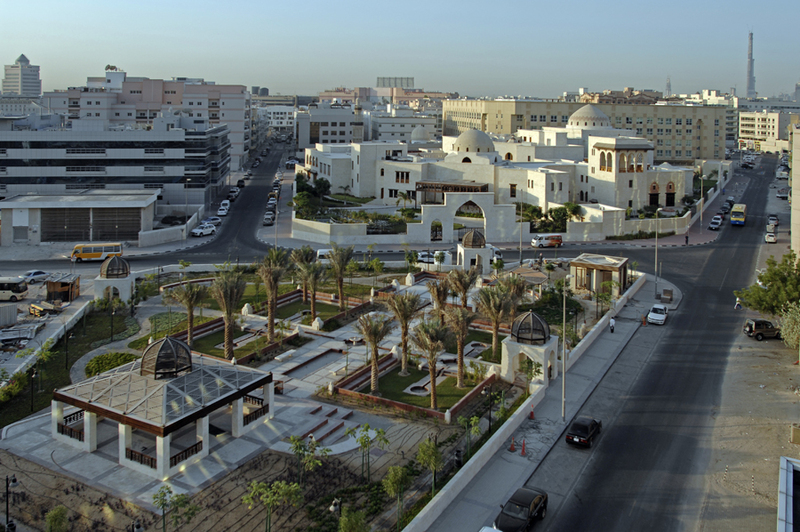 Situated across from the Ismaili Centre, the Dubai Park was a gift from Mawlana Hazar Imam to the city of Dubai.